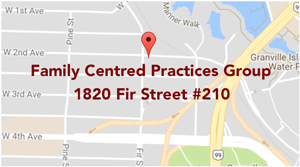 Autism Community Training (ACT) B.C. ACT is a not-for-profit society that provides information and referral services to families of children with autism diagnoses across BC. Funding from the Ministry’s Autism Funding for Children under Six Program can only be used to employ Behaviour Consultants and other professionals who are on the Registry for Autism Service Providers List. This list is a tool to help families make informed choices about the professionals providing early intervention services to their child. This web site contains information for parents about autism, assessment and diagnosis, funding, and autism related programs. A Parent’s Handbook is a document published by the Ministry of Children and Family Development. It describes autism related programs and provides information on autism funding available in BC. Other useful information is also provided. Community Living BC provides support and services to children with special needs and their families. In conjunction with the Ministry of Children and Family Development, CLBC is responsible for delivering autism funding to children under and over age six. The Autism Society of BC is a parent based and directed organisation that provides information and support to individuals with autism and their families across BC and Yukon. This site provides information about where people living in BC can obtain diagnostic assessments for individuals with a suspected autism spectrum disorder (ASD). ABA International® is a professional organization for individuals concerned with the philosophy, science, application, and teaching of behaviour analysis. The Autism SIG, chartered by the Association for Behavior Analysis International®, brings together people who specialize in and are interested in the application of behaviour analysis to the education and treatment of individuals with autism. JABA is a journal that publishes research about applications of the experimental analysis of behaviour to problems of social importance. ASAT is a not-for-profit organization established with the goal of improving the education and care of people with autism. ASAT supports the development of higher standards of accountability and professionalism in the treatment of autism. This site provides reliable information to parents and other professionals about the latest evidence based research on autism. a)Behaviour Interventionist Citation Program – training for individuals who intend to work with individuals with autism under the supervision of a Behavioural Consultant. b) Disability and Applied Behaviour Analysis Program – training for individuals seeking to become Board Certified Assistant Behavior Analysts (BCaBA). The Behaviour Interventionist Training Partnership provides training opportunities for individuals intending to work as behavioural interventionists with individuals diagnosed with ASD. UBC offers M.Ed/MA programs in Special Education, with concentration in Autism/ Developmental Disabilities. These programs offer the necessary course requirements for individuals seeking to become Board CertifiedBehavior Analysts (BCBA). The Behaviour Analyst Certification Board® is a non-profit corporation designed to promote and implement a voluntary certification process for Behaviour Analysts worldwide. Capilano University offers a baccalaureate program that blends rigorous academic training and professional supervised experience. Different Roads to Learning is a company that sells products geared towards supporting individuals with autism. You may find useful materials on this site. Super Duper is a company that sells products geared towards supporting individuals with autism and other special needs. You may find useful materials on this site.